In the blue zones worldwide, what are common human longevity characteristics? Dan Buettner is the team leader of "The Blue Zones" which is a longevity research project funded by National Geographic. They are studying human longevity in various cultures around the world. In his book "The Blue Zones", Dan Buettner outlines the healthy habits, the longevity diets and the cultural and familial values that each longevity society upholds. The name for the project was coined after Dan's team happened to be using a blue marker to circle areas with high rates of human longevity on a map. A blue zone is specifically a geographical region somewhere in the world that has exceptionally high rates of longevity. For example, Okinawan longevity is the best in the world, per capita. One in 2,000 Okinawans can expect to make it past 100, whereas the average American has a 1 in 100,000 chance (according to statistics from 1990). In Dan's book, he and his team cover four different blue zones across the globe. This was one of the best books I have ever read and I couldn't put it down. It combined both longevity statistics and facts about the people, their lifestyles and the histories of their regions. It also balanced it out with accounts of the teams adventures in the blue zones as well as interviews with many of the long-lived centenarians and even some super centenarians (people who have lived past the age of 110)! They visited the island of Sardinia, Italy; the Nicoya Peninsula, Costa Rica; Loma Linda, California; and Okinawa, Japan. The so-called modern and advanced lifestyles of well-developed countries are a drain on human longevity potential. If you've read "The Blue Zones", followed Dan's work in other forms (online or his television specials) or followed work on a similar subject, then you'll have a clear understanding of how sick western culture is right now. The extreme simplicity displayed by the lives of the blue zones' peoples could be good role models for those who are part of the "culture of death". This negative man-made influence is currently sweeping across the planet, destroying its resources, cultures and peoples. The blue zones are a wake-up call that I personally hope the world is able to answer. The rat-race for ever-increasing progress, money, fame and power is actually just a reflection of humanity's current delusion that satisfaction can be found externally in this world. I am not against advancements by any measure, but it seems that much of modern society has lost sight of the original reason they envisioned things such as space flight or computers in the first place. It's the exploration of our universe, consciousness and human potential that are real measures of progress, not using these things to gain an upper hand in controlling nature and other people. The lives of the blue zones peoples are brimming with deep reverence for every aspect of life. They know the secrets to longevity, happiness and satisfaction. They live in harmony with their families, their communities, the earth and most importantly, themselves. Some might think it's not worth becoming a longevity society if you have to be poor. Three out of the four blue zones happened to be less developed areas of the world in terms of material affluence, but that has absolutely nothing to do with the human longevity of those regions, except they didn't surround themselves with the temptations of greed. In fact, having the opportunity to live in a richer part of the world is a blessing and can be used for the greater benefit of all. The problem western culture has had to deal with is the temptations that come along with the abundance, not the abundance itself. Material abundance when channeled with the proper intent can add to the lifespan development of any longevity society. In years to come I strongly believe that there will be a modern day renaissance in the west. As old barriers fall away and modern society decides to change bad habits and disentangles itself from the sadistic and self-defeating lifestyles people follow, a free world order will emerge that will have borrowed many concepts indirectly and perhaps even directly from influences such as the blue zones. Perhaps you might think this utopian concept is far fetched or idealistic, but if you are serious about your own life-span development, caring about and setting the goal to see global improvement is just as important as having goals and a vision for your own future. 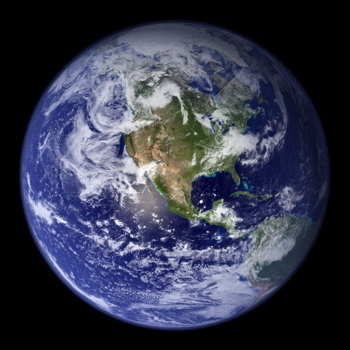 Perhaps one day we will be able to see every single nation and the entire planet Earth as one giant blue zone where there is no poverty, no famine, no global warming and people living to be centenarians is the norm. Click to return from "The Blue Zones" to the "Longevity Research" page.